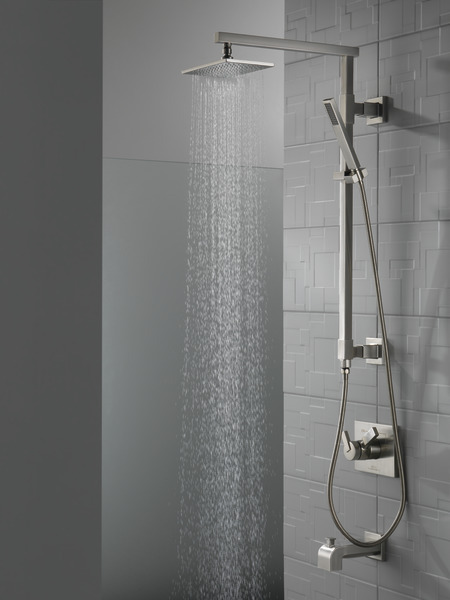 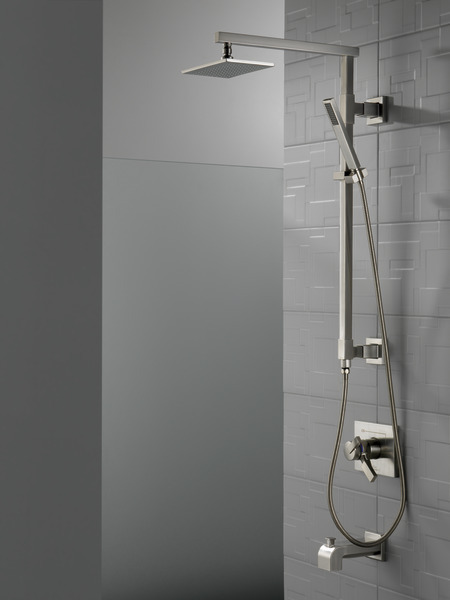 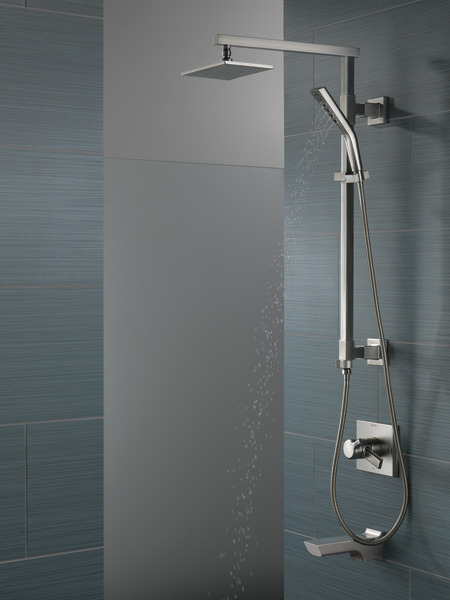 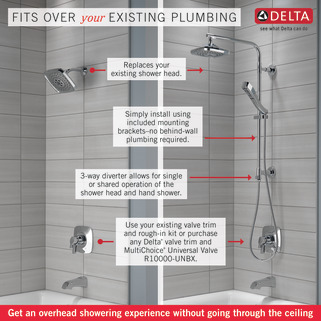 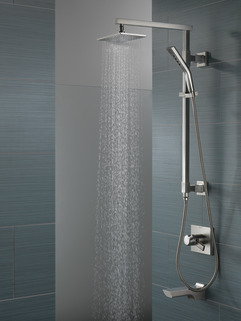 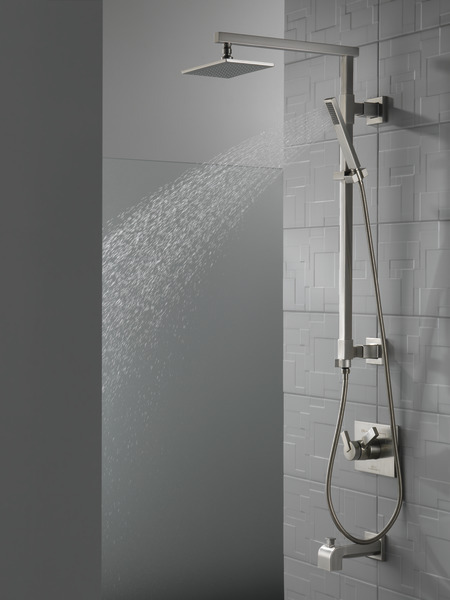 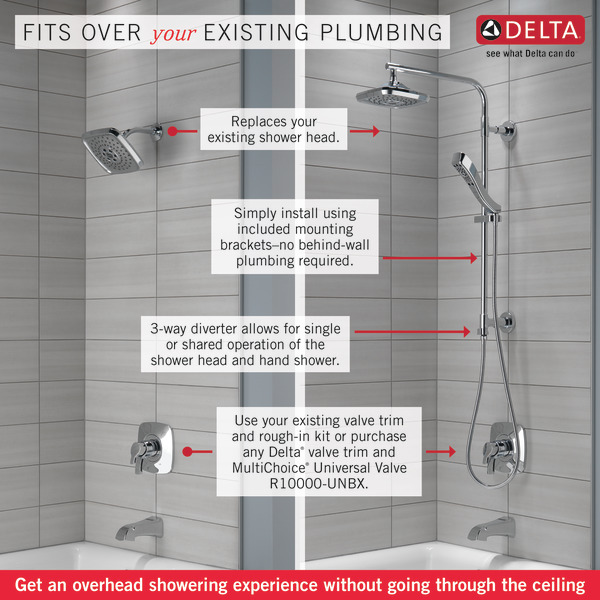 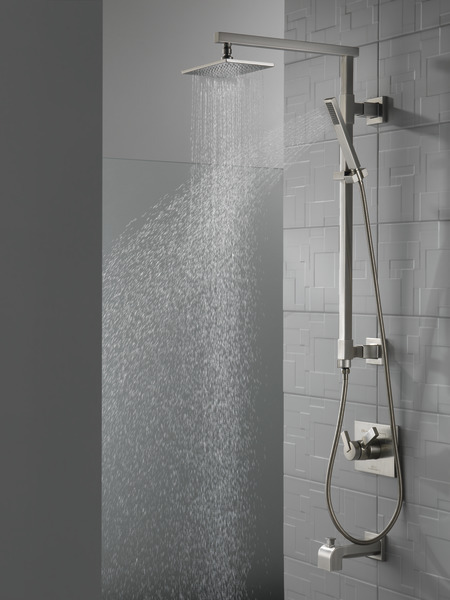 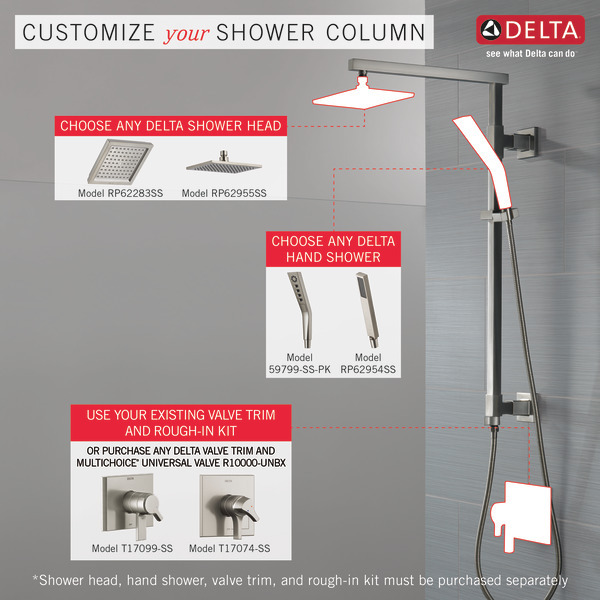 Besides this item, which other items would you have to purchase to make this shower system operational? I see the top of the shower arm is 15 inches long. Is it possible to get one with a longer extension? 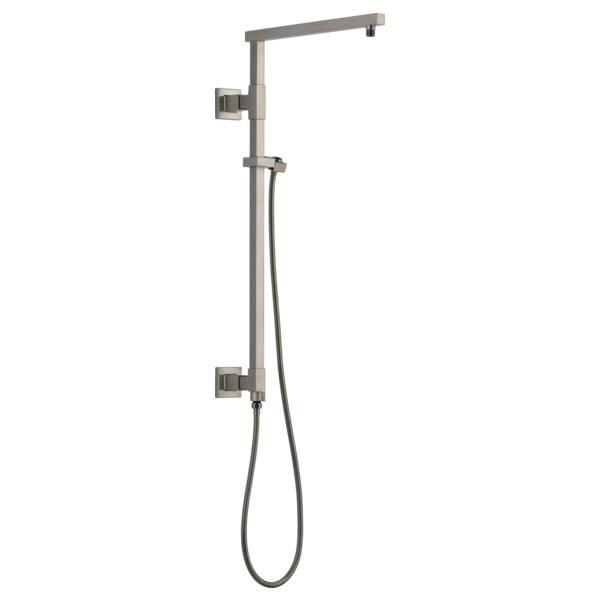 We want to use this in a tub shower combo but the tub is a 2 person tub so with the slant of the side we'd need the upper bar to be at least 20 inches. Is there any plans to manufacture this model in Black? 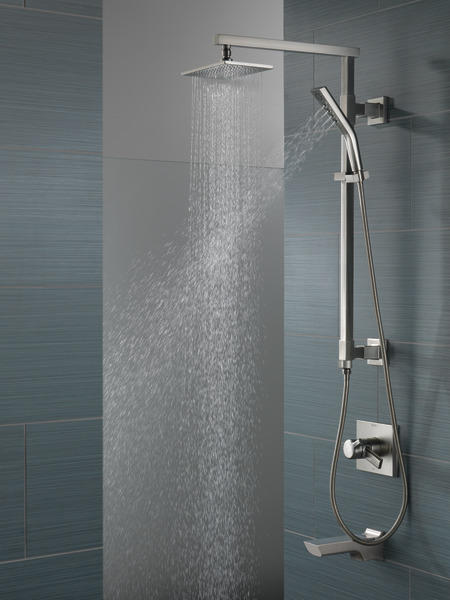 We heard it was in production. 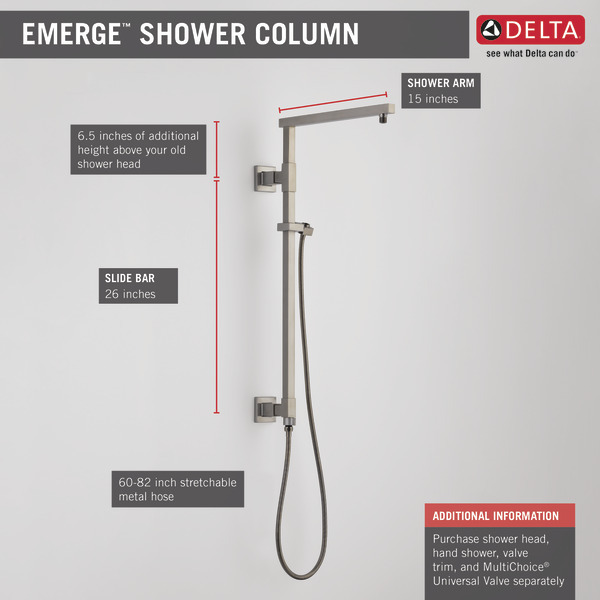 What is the material for the shower column? Is it metal? or is it plastic with a metallic finish?